6h06 riding time. Avg 12.7mph. Ascent 4,514ft. Descent 3,917 ft.
Today was all about going uphill. At least it felt that way! And the numbers confirmed it. After leaving picturesque Mora behind, we continued to make our way north on the N2 again. The first part of the day involved crossing our first main water obstacle: The Montargil dam. Then the cloud thickened we went through a part of Portugal that time, and the government, seemed to have forgotten about. Abrantes and its neighbouring towns were run down. They were deserted, dark and depressing. It was fascinating to see. We later found out that fires in 2017 had ripped apart whole communities and one hotel owner told us he had a friend who was travelling 60km for a job in a supermarket. We ticked off a few more old man cafe stops including our first pastel de nata! I appear to have a unique talent to find some of the most local haunts. But I’ve also developed an ability to order a decent cheese sandwich (sometimes with tomato if we are lucky) and get our water bottles filled up, so we are doing ok! We spent a lot of the afternoon playing crawler lane bingo. If there were signs for a crawler lane we knew we’d be chugging away patiently for at least ten minutes. Then it was a game of who could spot the end of the crawler lane sign first, which meant the next section would either be flat or just less hilly. Usually just less hilly. Then, if we were in for a real treat, we’d get a test your brake sign, aka hang on, we’re going down! At our final old man cafe stop, we had, yup, you've guessed it, another cheese sandwich. Perfect timing as we had to go up again to get that bit closer to Sertã and our third night’s accommodation. After one rubbish day, one marginally better day and a much happier third day we were finally beginning to understand the joys of cycling the N2. 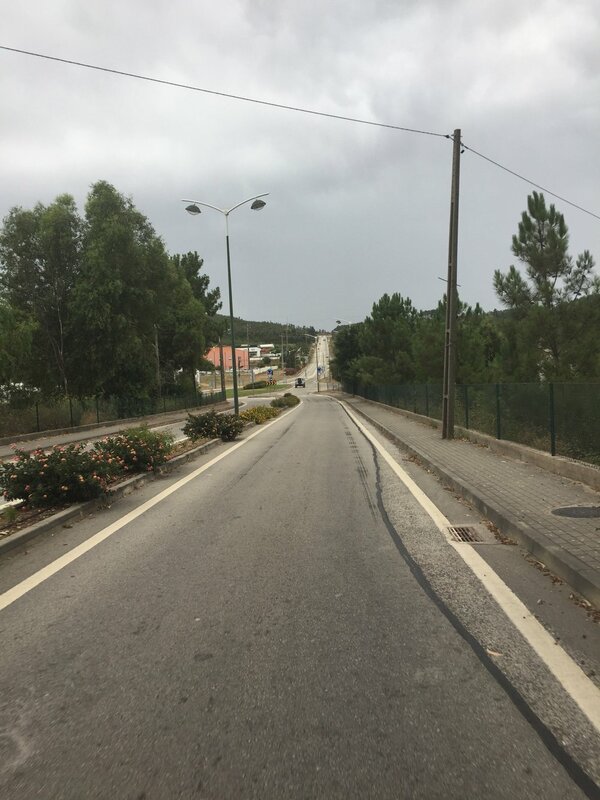 Sertã was a beautiful small town surrounded by hills and pine trees. We loved the chilled out vibe and were excited about what lay ahead.